As the world watches the highly volatile price of oil there is a suggestion that law firms could be adversely affected by the situation. A new report from Citi Private Bank Law Firm Group and Hildebrandt Consulting says that falling oil revenues and geopolitical unrest could both have negative impacts on the income of even the strongest law firms. Transactional work will perform better than litigation in 2015 the report concludes and those firms that have big-name clients involved in deals, together with the most competitively priced, will do best. In terms of revenues, the report predicts income to rise by 6 per cent with profits per equity partner up around 5 per cent. It also says that firms often struggle to collect their hourly rates with clients demanding alternative billing arrangements. On growth, the study has found that lateral hires may at best break-even in many cases and firms are increasingly growing through offering broader services to their existing client base. Kennedys has hired a team of lawyers from Clyde & Co to boost its aviation practice in Singapore and Hong Kong. Partners, Peng Lim and Anita Quy, join the Singapore office along with a team of four other lawyers. A third partner, Sarah Catchpole, joins from Norton White in Sydney and will be based in Hong Kong. Kennedys merged with aviation specialists Gates and Partner last year and continues to build a reputation in the sector. L&E Global has announced that Zhong Lun Law Firm has joined the network as an affiliated member to provide employment law services. Zhong Lun is one of the so called ‘red circle’ firms providing a complete spectrum of legal services in China. The firm is headquartered in Beijing and has over 200 partners and 900 professionals working in offices across China, Hong Kong, Japan, US and UK. 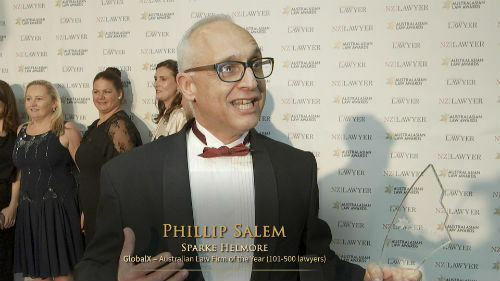 L&E Global’s network has been expanding steadily and already has full members in Australia (Harmers Workplace Lawyers) and New Zealand (SBM Legal). Berwin Leighton Paisner will have a new managing partner next year following the announcement that Neville Eisenberg will step down from the role after 16 years. Eisenberg is one of the longest-standing managing partners in the profession but will not be leaving the firm as he hopes to stand for the senior partner currently held by Harold Paisner. Paisner is understood to be looking to end his tenure in that role.